ALBA’s teaching partner in Massachusetts will be in charge of training the state’s teachers for the new social studies standards—which include a return to civics education and an explicit mention of the Spanish Civil War. 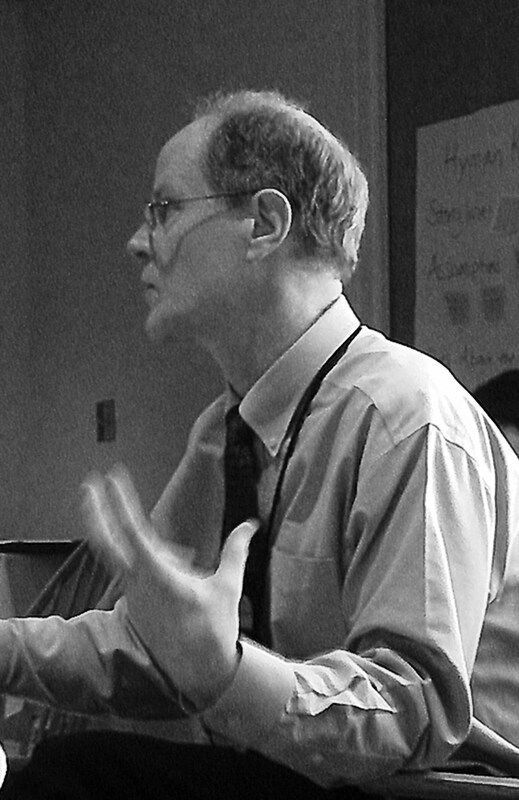 Rich Cairn is the gentlest of souls—but he knows from experience what it takes to get busy teachers’ attention. The instructions to his workshop participants are clear, to the point, and specific. And he’s not afraid to use all-caps (“READ THIS ENTIRE EMAIL RIGHT AWAY AND CAREFULLY”; “BE ON TIME!”). For many years, Cairn has been educating teachers in Massachusetts through the Collaborative for Educational Services. Founded in 1974, the Collaborative is a publicly funded resource center that broadly supports teaching and learning in 36 public school districts in Hampshire and Franklin Counties. The Collaborative often works with community, foundation, and business partners across Massachusetts and beyond, including the Library of Congress and the National Endowment for the Humanities. There’s no aspect of education that it doesn’t cover, from early childhood and K-12 to special education, after-school programs, and programs for vulnerable youth. Since 2014, ALBA has partnered with Cairn, the Collaborative, and master teacher Kelley Brown, teaching an annual workshop at different Massachusetts locations. Recently, the Collaborative was charged by the Massachusetts Department of Education with helping introduce the new statewide standards for social studies, which had not been updated since 2003. A good moment for a conversation with Cairn. How are the new standards different from those established in 2003? The old standards included more than 700 separate facts and dates that students were expected to know. The new standards include at least as much content—but they come with much clearer directions about the concepts and themes that students need to understand and be able to work with actively. They also place a heavier emphasis on inquiry and they grant a much more central place to civics education. In fact, they mandate an entirely new civics course at the eighth-grade level. Civics? Isn’t that something of a return to the past? Yes, in a way it is. Thirty or forty years ago, many states had civics courses. Massachusetts hasn’t for a long time. What is driving the new standards? For one, the State Board wants to bring social studies standards in line those of other subjects, such as Math or English, which are already more inquiry-based. In Massachusetts, there’s also long been a strong push from a bipartisan coalition—including teachers, legislators, local superintendents, local government officials, and a lot of active citizens—for a stronger civics piece in our schools. In fact, the state legislature has proposed a new civic engagement bill, S.2375, which has already passed the Senate. Why this interest in beefing up civics education now? To be honest—and they have admitted this when I have spoken with them—among the House and Senate leadership, it was the 2016 election specifically that sparked concern about civic awareness and engagement in America. Not coincidentally, one of the other pieces in the new standards is a specific component on the first amendment, media literacy, and digital citizenship. Our law makers want to make sure that our students are well prepared for the world they live in. And if there ever was a time to do a better job in these areas, that time is now. What role does the Collaborative get to play in this process? We won the contract to conduct a three-day civics education institute for the eighth-grade teachers who will have to teach the new civics course. And we’re also building a website, the Massachusetts Civics and Social Science Education Network, in partnership with Project Citizen, a national civic engagement organization, and with the Massachusetts Center for Civic Education. What will the new civics class entail beyond, say, “how a bill becomes a law”? It will include a specific component on media literacy, in addition to philosophy and history as well. Another key piece are the… (pauses). Let me look this up, I have to make sure this stuff trips off my tongue come July! … Here: the seven standards for social science and history practice. These standards span across all grades, pre-Kindergarten to twelfth grade. The first of these general standards is to demonstrate civic knowledge, skills, and dispositions. Two through six are about the process of inquiry. Seven—and this is the key one—is Determine next steps and take informed action as appropriate. In a way, this aligns with the national social studies standards—but here in Massachusetts, it’s new. Do the new standards mention Human Rights? Yes. The concept is mentioned in the overarching principles; and in World History, the Universal Declaration of Human Rights is one of the primary sources that every student needs to be familiar with. Will these new standards create more opportunities for the kind of workshops ALBA and the Collaborative have been doing on the Spanish Civil War, the United States, and World Fascism? Yes, for at least three reasons. Within the emphasis on civics, on understanding how governments work, the analysis of ideologies is central. And the Spanish Civil War is an excellent way to delve into those. Second, in World History there is a specific standard that reads: “Analyze the aggression of Germany, Italy, and Japan in the 1930s and the lack of response from the League of Nations and Western democracies.” Among the four topics suggested here are the invasion of Ethiopia, the Spanish Civil War, the Japanese invasion of Manchuria, and Germany’s annexation of Austria. Third is the fact that the new standards privilege the understanding of concepts over facts. In this case, it’s more important to understand the concept of fascist aggression and the lack of response to it, than to know who Neville Chamberlain was as a fact on its own. That, too, aligns perfectly with the approach we’ve been taking in the ALBA workshops. How did you personally get to be interested in the Spanish Civil War? I didn’t really learn about the Spanish Civil War till I got to college. In the 1980s, I worked in the co-op movement in Boston. This drew me to the Mondragón Cooperative, and from there I got interested in Spanish anarchism. You’ve worked with ALBA for several years now. Has your work with us changed how you think about the Spanish Civil War? Absolutely. For one thing, my depth of understanding is enormously greater now. I’ve learned so much from the primary sources we share with the teachers—the letters, the posters, the music, and the films. And I cherish the opportunity to discuss the complexities of the war and its aftermath with Peter, you, and the teachers. I come away with new insights every single time. Sebastiaan Faber teaches at Oberlin College.